Before yesterday’s installment of The Big Smoke Music Festival, we grabbed food inside the venue, Tallboys Craft Beer House. I ordered the Pan Seared Fish Tacos ($12). 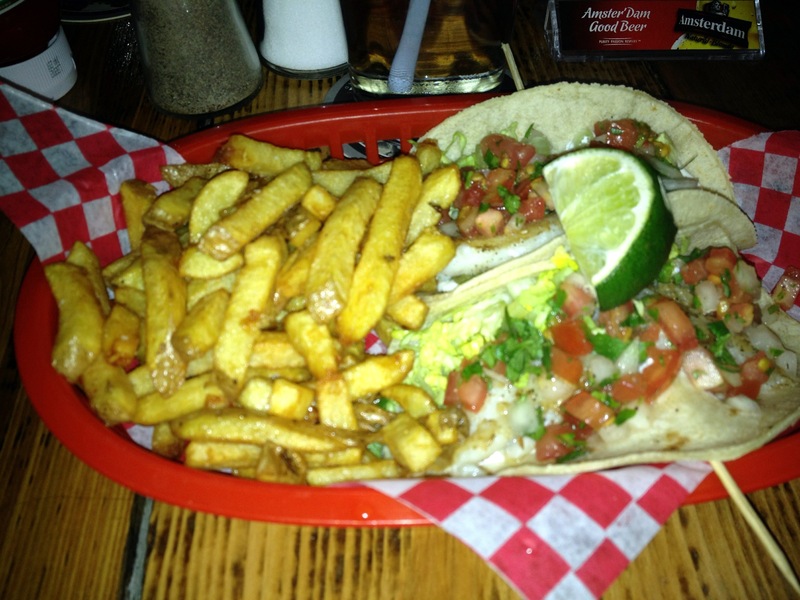 The fish sat in a soft corn tortilla with guacamole salsa fresca, lettuce and sour cream. They were served with fries. They’re very similar in style to the fish tacos at Tacos El Asador with just the right amount of coriander. The fries made it a decent amount of food, and I swear they had a little bit of sour cream in them because of their interesting taste. 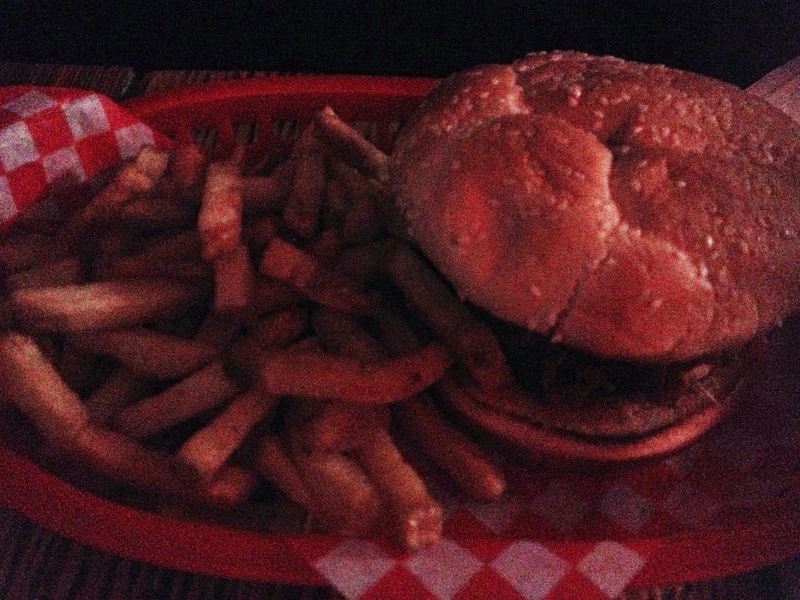 Nash had the Tallboys Signature Bacon Chili Burger ($13). The chili was mixed in with melted cheese and onions resulting in awesomness between two buns. They also have a burger with kimchi in it which we will definitely come back to try. Since we were at Tallboys, it was only appropriate that we did get some tallboys. 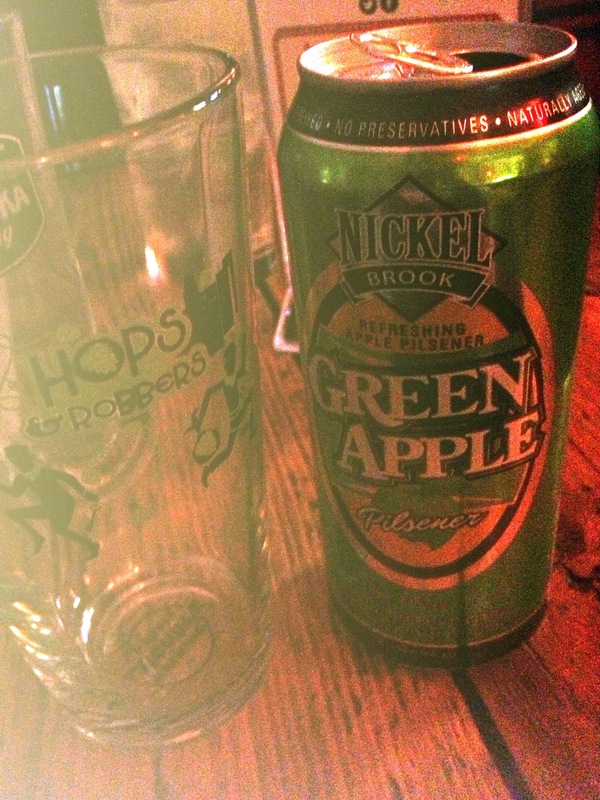 I had the Nickel Brook Green Apple Pilsner. It was a good amount of sweetness in a beer. Nash had some kind of cider, I forgot. We’ll definitely come back again since the food is decently priced. Also, we learnt that the menu is half price on Sundays with a drink!